Keep your lawn cut, leaves raked and snow shovelled. Trim any bushes, plants or vines where necessary. Sweep your porch and walkway and make sure your garbage and recycling are tucked away from the front of your home. Clear and clean your counter tops, sinks, toilet and bathtubs. Dust shelves and vacuum or mop your floors. Empty out your garbage cans that are in sight. Buyers want to be able to see open space so they can envision their own belongings in the home. Take at least 50 percent of your belongings out of your space and put them in storage. The best way to do this is to go into each room, look at each item and determine if it is necessary to keep it or not. Does the item add to the room or make it yours. Remove personal things like awards and pictures. Try and mimic the amount of items you would find in a hotel room. 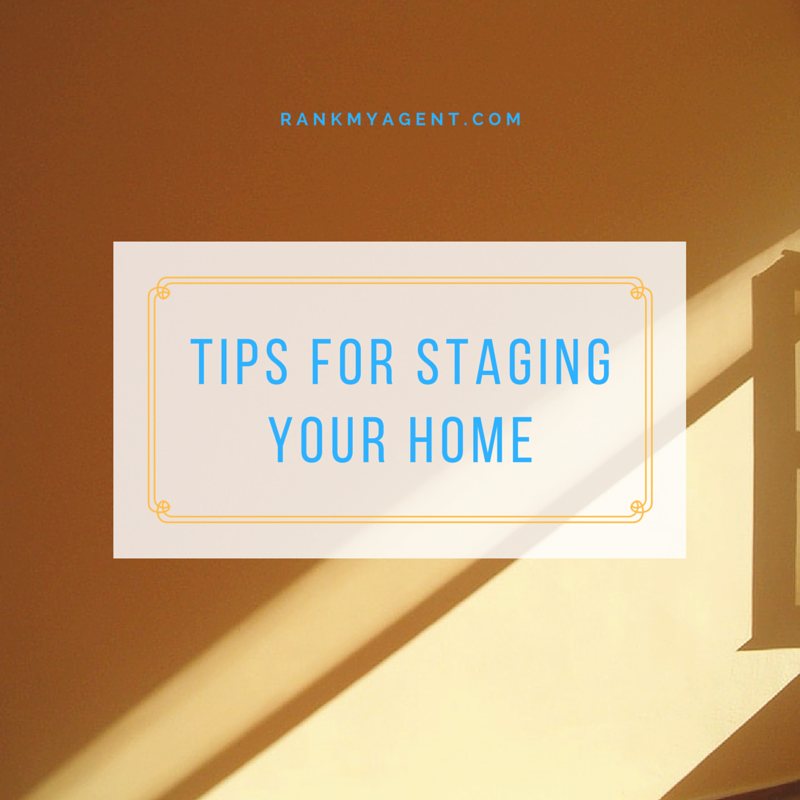 De-cluttering is one of the most effective home staging tips so do not ignore it! A bright home looks inviting and warm. Open all your curtains and blinds in each room. You can add stand-up or table lamps for more lighting. Buyers are most likely checking the Internet first for properties. Ensure that you have amazing photos of your home online to attract buyers to consider visiting your home. The "first look" they have of your home is important, so make it impressive!